We are so excited to be able to announce this amazing Palau snorkeling trip opportunity in 2020. 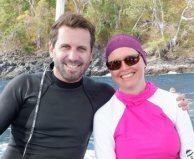 Join 17 snorkelers on an exclusively reserved liveaboard yacht for a seven day safari to one of the most remote and diverse marine snorkeling areas in the world. This trip is being run by our partner and friend Ben and his team. Based in the U.K., they are experts in the Coral Triangle, run amazing excursions, and have a great appreciation for the underwater world. 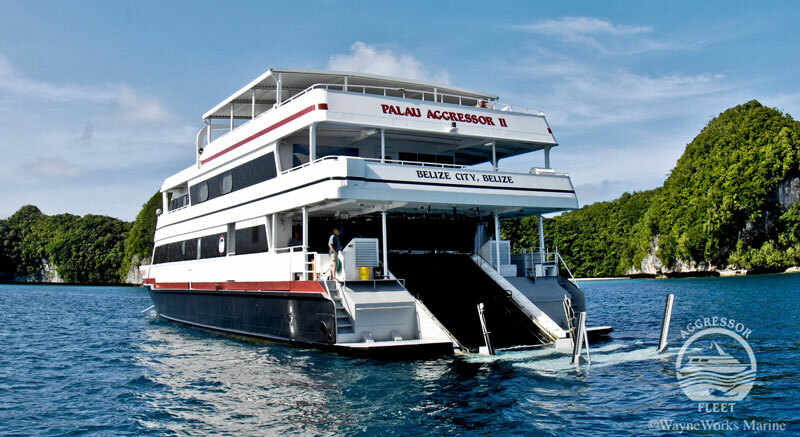 This small group Palau snorkeling trip (17 snorkelers + guide) is a full week liveaboard with full board, exploring the best snorkeling that Palau has to offer. 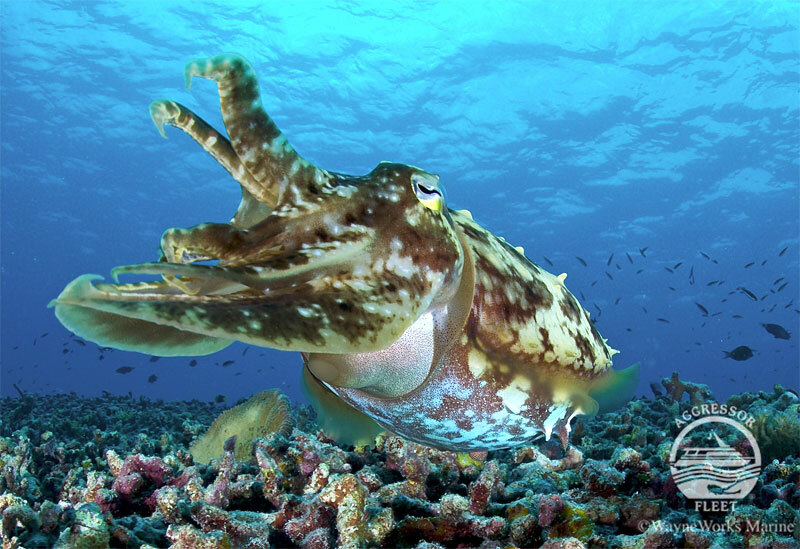 You will be thrilled with stunning reefs filled with healthy corals, huge bait balls, turtles, pelagics, madarin fish, giant clams, mantas and much more. 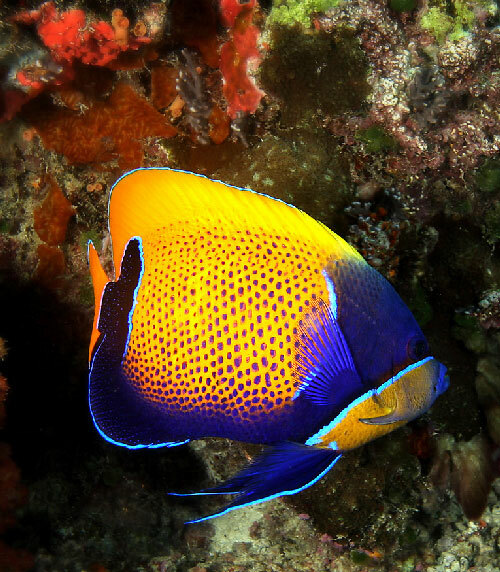 Palau is listed by one organization as one of the "Seven Underwater Wonders Of The World". It's high on our list to visit, that's for sure. And if a week is not long enough, ask Ben about extending your stay. Palau is a group of 340 islands in the Pacific Ocean about 500 miles east of the Philippines and north of Indonesia, 745 miles southwest of Guam, which you can just see in the upper right in the map below. Palau is its own republic, in a free association for protection and other services with the USA. While technically just outside the region described as the Coral Triangle, Palau is being considered for inclusion because of its incredibly high marine biodiversity, with over 1500 species of fish, and nearly 500 corals. Your Palau snorkeling trip starts after flying into Koror International Airport. The Aggressor Liveaboard boat is just a 30 minute transfer from the airport. 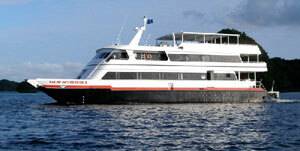 What Will This Palau Snorkeling Trip Aboard the Aggressor Liveaboard Be Like? 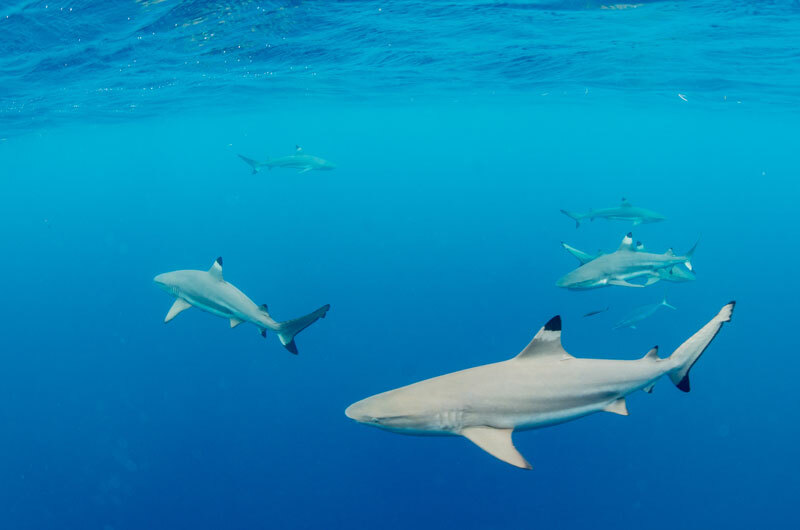 This small group charter is exclusively for snorkelers and offers seven days of adventure by liveaboard where each day will offer something different below the surface. The aim is to slowly circumnavigate Palau’s archipelago, but as the itinerary remains completely flexible you will be stopping to snorkel the very best sites that the country boasts, as well as ensuring there is enough time topside to relax and enjoy the comfortable liveaboard yacht. 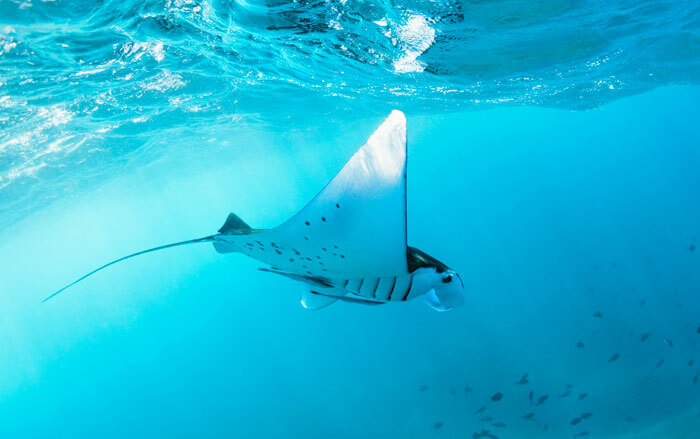 From your Palau snorkeling liveaboard you will have excellent opportunities for encounters with large pelagic marine life like mantas and reef sharks as well as masses of schooling fish. 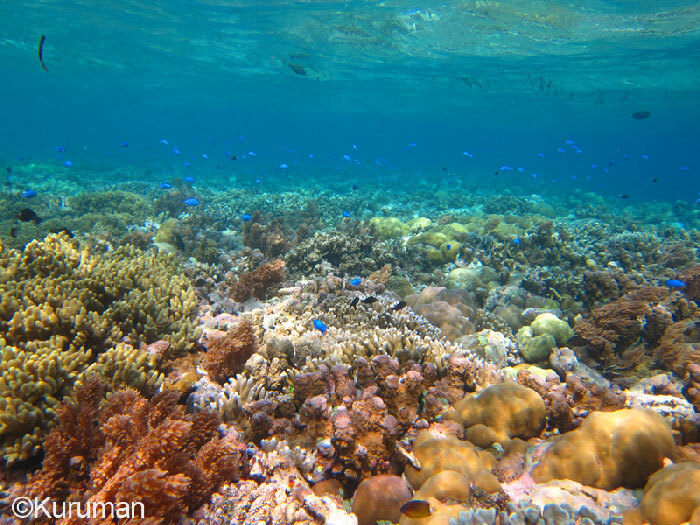 Topography ranges from shallow coral reefs to plunging walls and dramatic underwater scenery in superb visibility. This Palau snorkeling trip will have sessions split between barrier reef and lagoon-based underwater environments. Sites such as German Channel offer good chances of manta rays, Big Drop Off for sharks and rays and Blue Holes & Blue Corner for beautiful underwater topography. At the lagoon-based sites you’ll explore tranquil areas with beautiful coral reefs and abundant marine life such as Ulong Channel and Ngemelis Coral Garden. 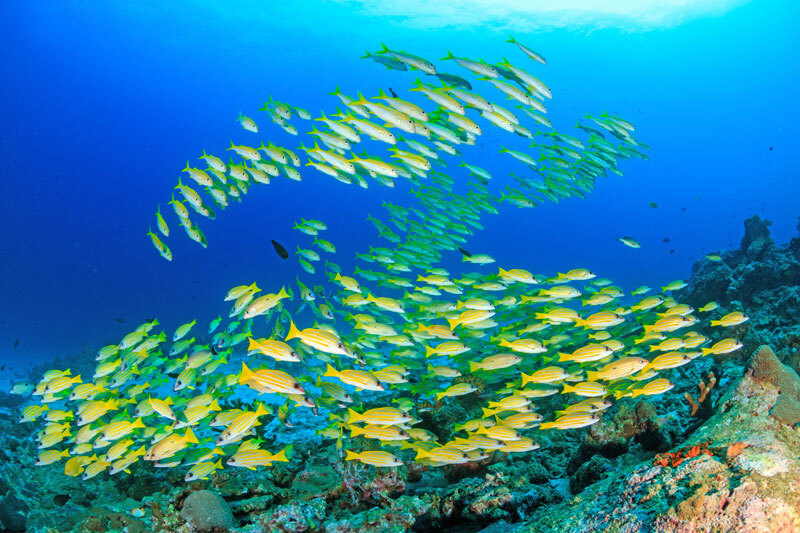 Given the time of year the trip takes place you may also get lucky enough to be present for a coral spawning event, and the ramp up in fish activity before and during that event. The Palau Aggressor II is a 105 foot world class liveaboard yacht complete with nine cabins which come equipped with private bathrooms, showers and air conditioning. The onboard menu features chef prepared international cuisine catering for all dietary requirements (vegetarian, vegan, gluten-free, etc. ), as well as offering complimentary soft drinks, beer and wine. 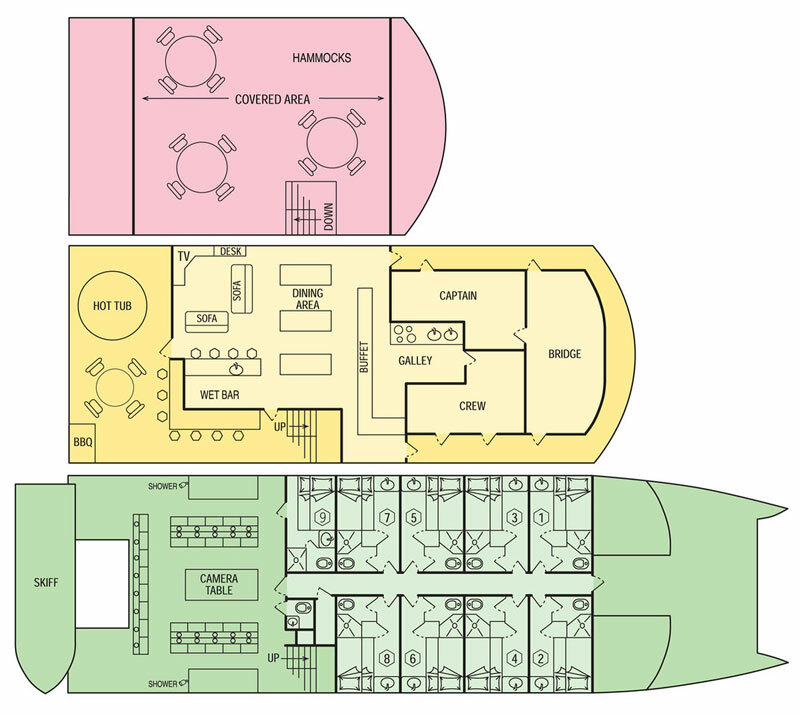 In addition to a spacious lounge, the ship has a large sun deck, bar, grill and hot tub with internet service available through the satellite system. At night presentations will be hosted in the lounge. The ship comes complete with a crew of six on hand to ensure comfort and satisfaction for all guests. 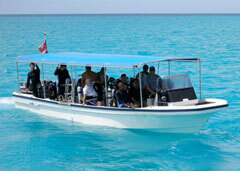 All the snorkel excursions are made from the skiff which is lowered into the water by a hydraulic cradle. March 22-29, 2020 - Available. March 29 - April 5, 2020 - One double occupancy cabin available. Tailor Made or Independent Travel extensions can be made to fit your budget should you desire more time in Palau.